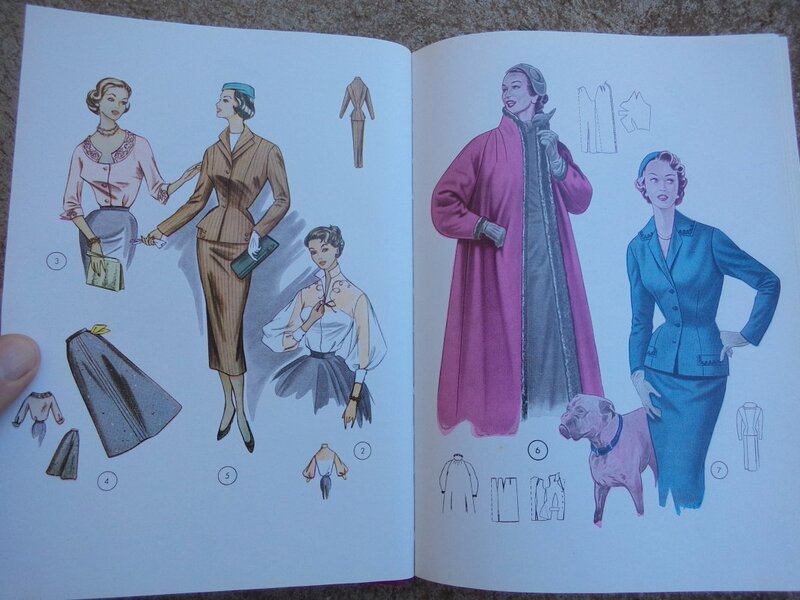 Arriving home from an op shop visit, my husband presented me with someone’s Lutterloh books. 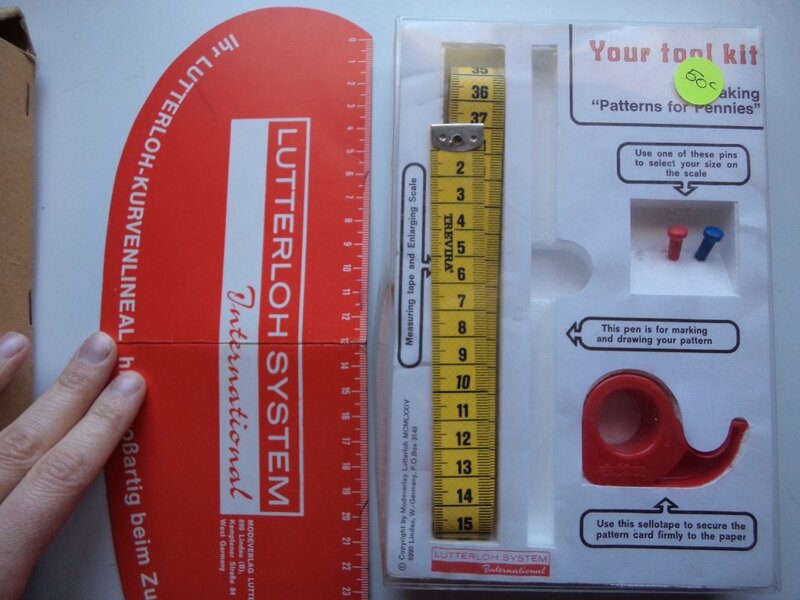 Lutterloh is a pattern making system from Germany. It was developed in 1935 and is still available today. 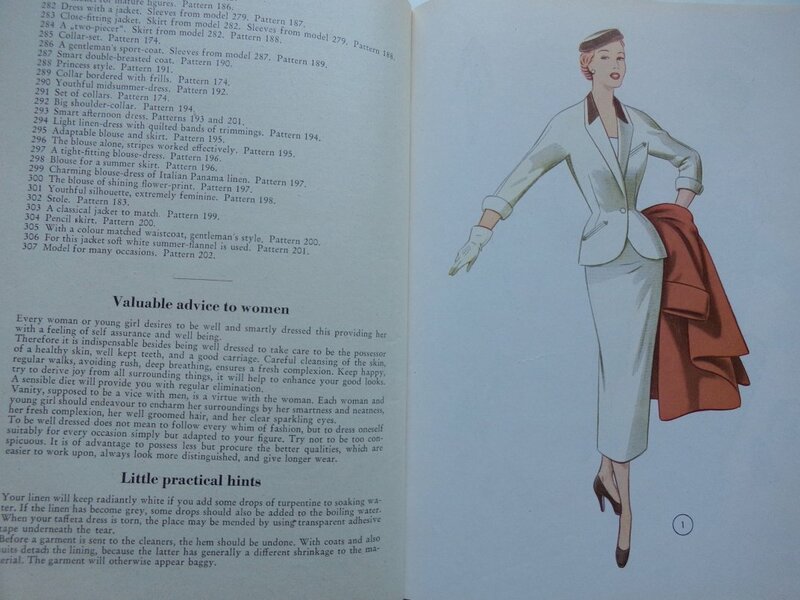 It comes with a special tape measure, cardboard curve, instructions and a catalogue of styles to choose from. Just one hour! If only! I could have saved two years of my life. 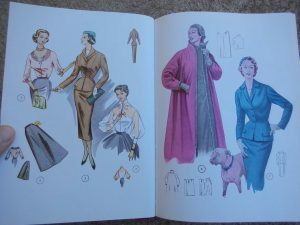 He brought home two catalogues: one in a binder from the 1970’s (the light brown one) and the other a hardback book from the 1950’s (this one). 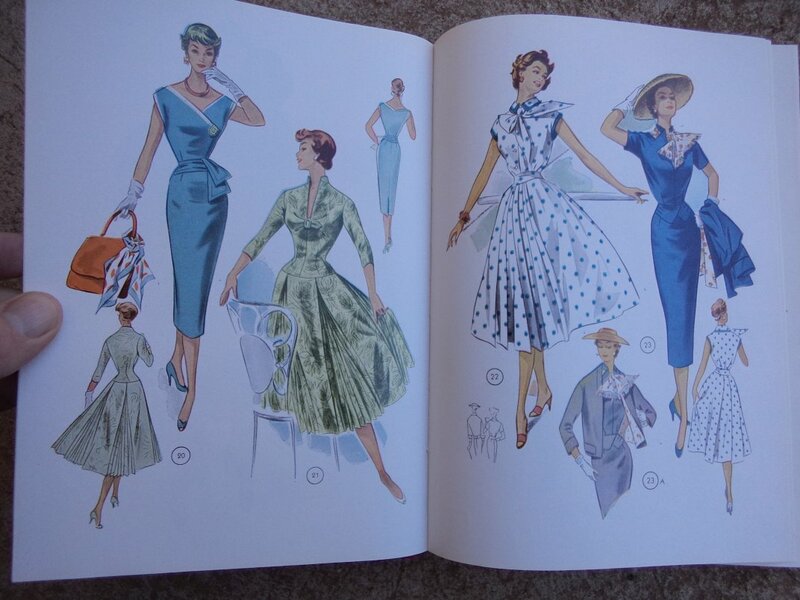 The fashion illustrations are beautiful, especially in the 1950’s book. How it works is you take your bust and hip measurements. 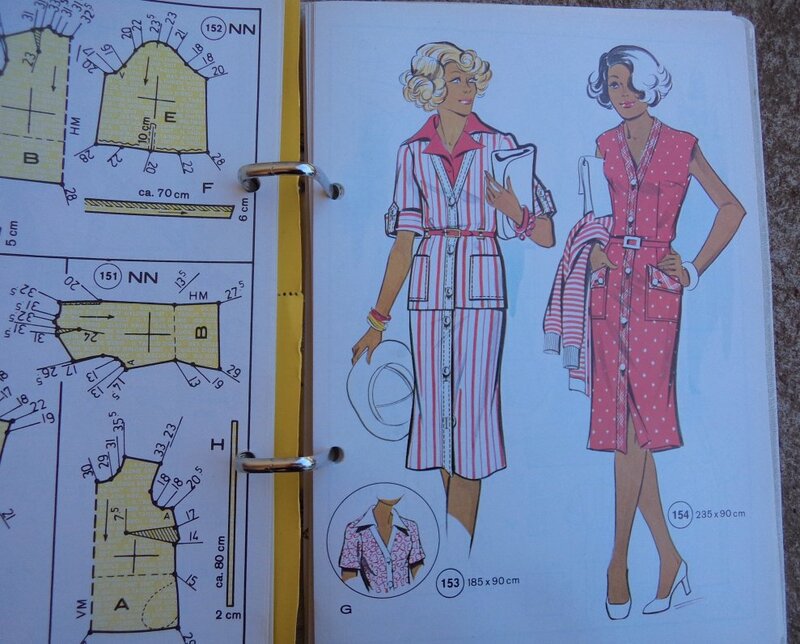 You take the diagram of the miniature pattern pieces and set it in the middle of the pattern paper (using sticky tape). 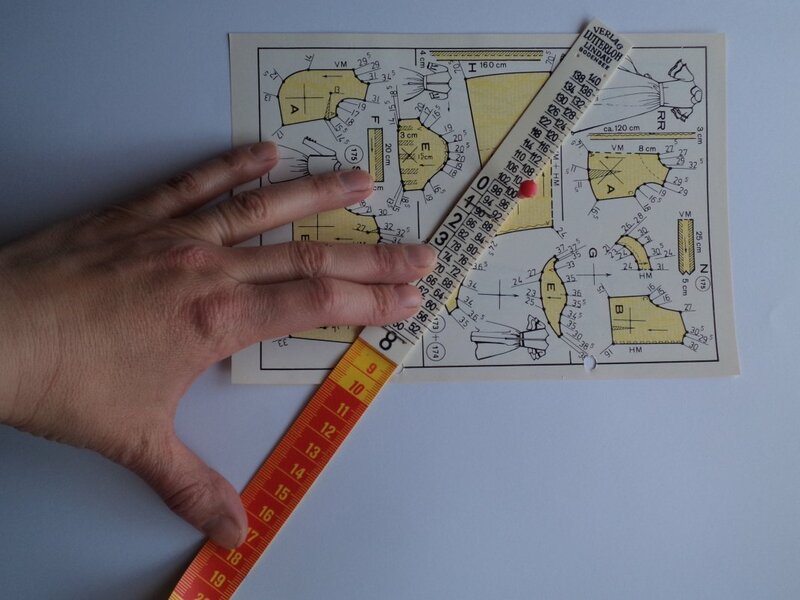 The special tape measure is attached to the cross hair in the centre of each miniature pattern with a push pin. 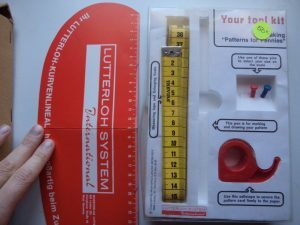 You measure outwards from the marked spots to transfer all the points, then connect the dots to give you a full sized pattern piece. 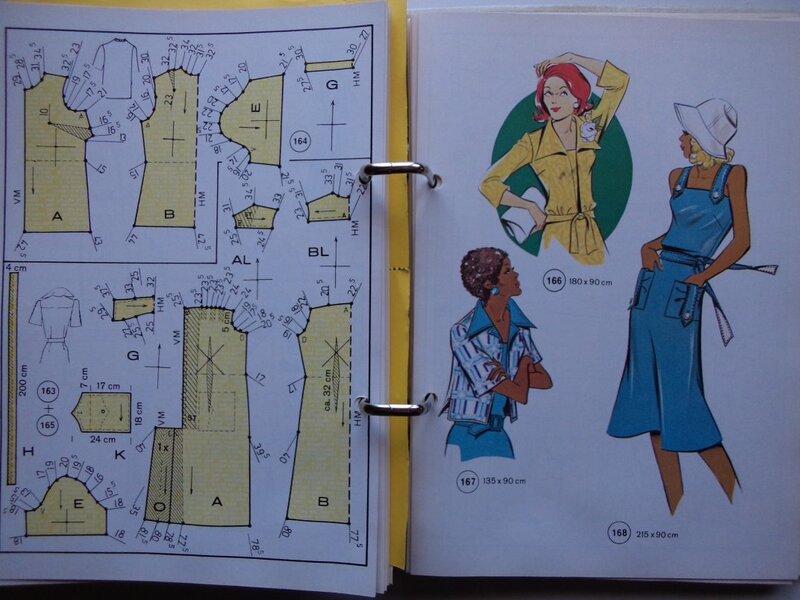 In the 1970’s catalogue, you unclip the page from the binder and the diagram is on the reverse side. 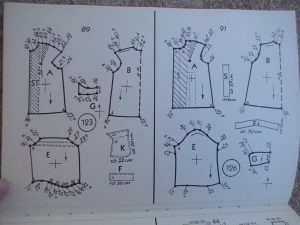 In the 1950’s book (this picture) all the patterns are at the end, and you actually remove the page from the book on the dotted line, but none have been taken out. 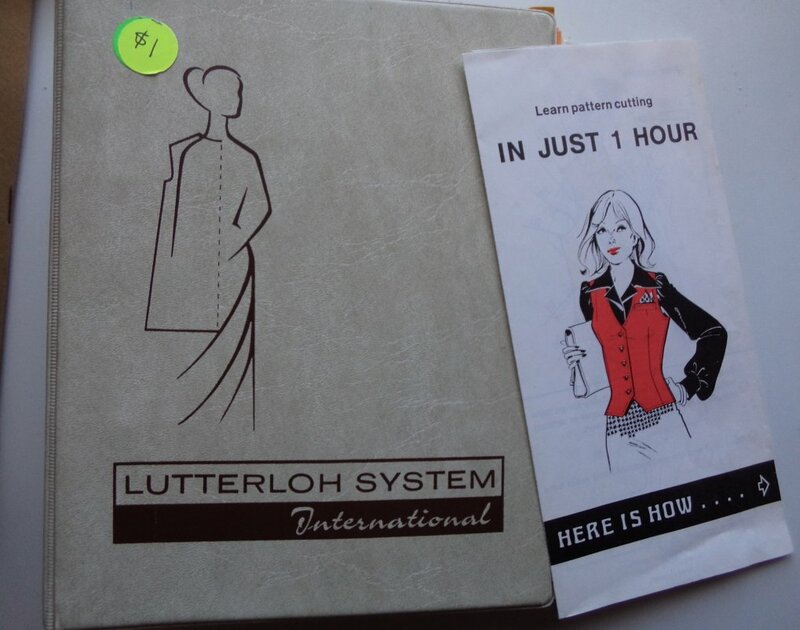 Lutterloh is a pattern drafting system only. 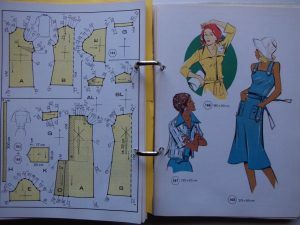 There are no instructions for cutting or making the garments, and you need to add seam allowances and make facing patterns as well. 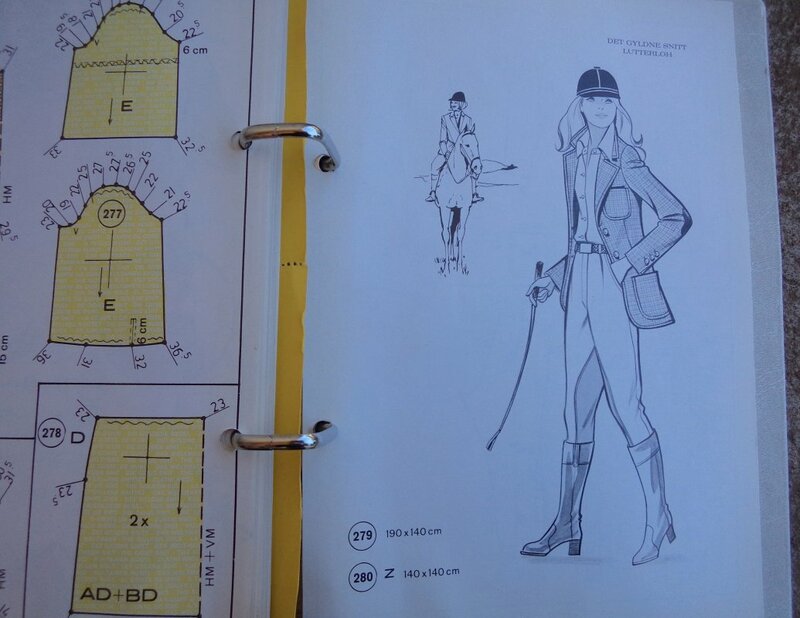 I haven’t tried drafting a pattern using this system. 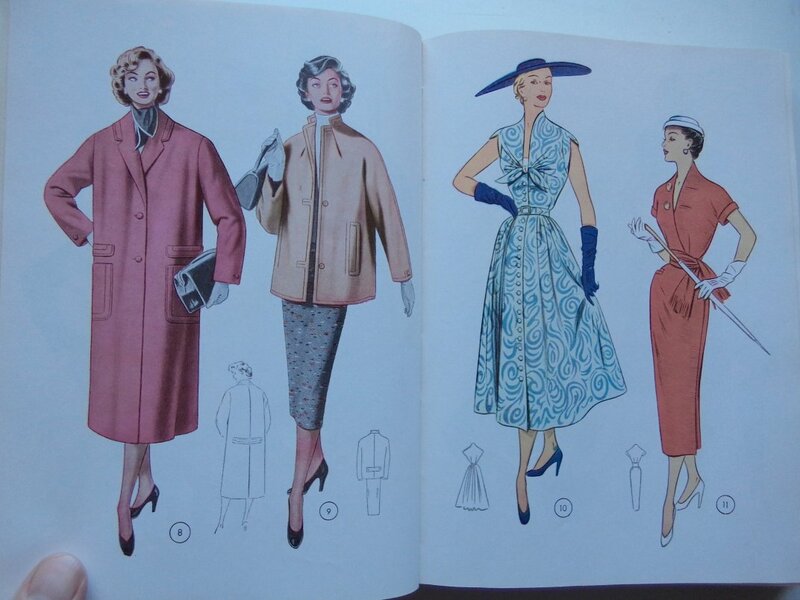 For now, enjoy a sampling of these catalogues. I would love to show you everything but there’s an astounding 280 styles in the 1970’s catalogue and 307 in the 1950’s one. 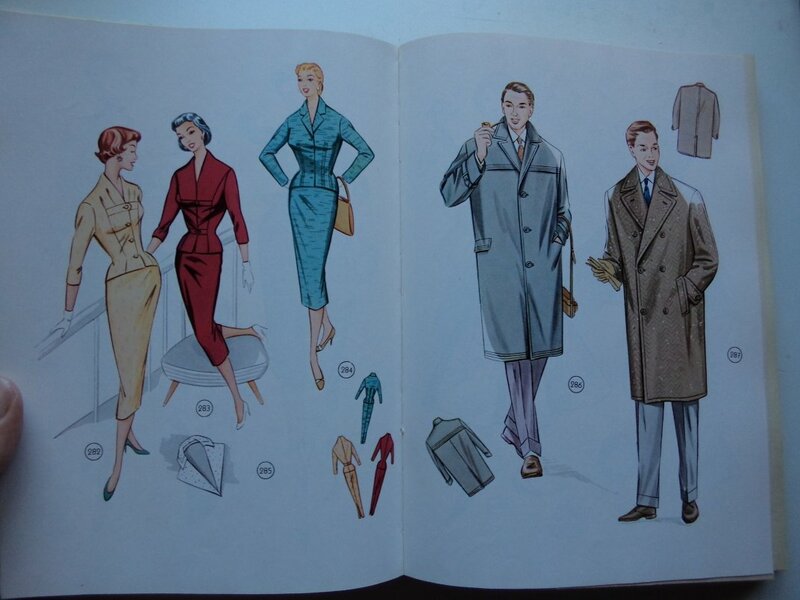 Most styles are for women but there are some things for children and men. 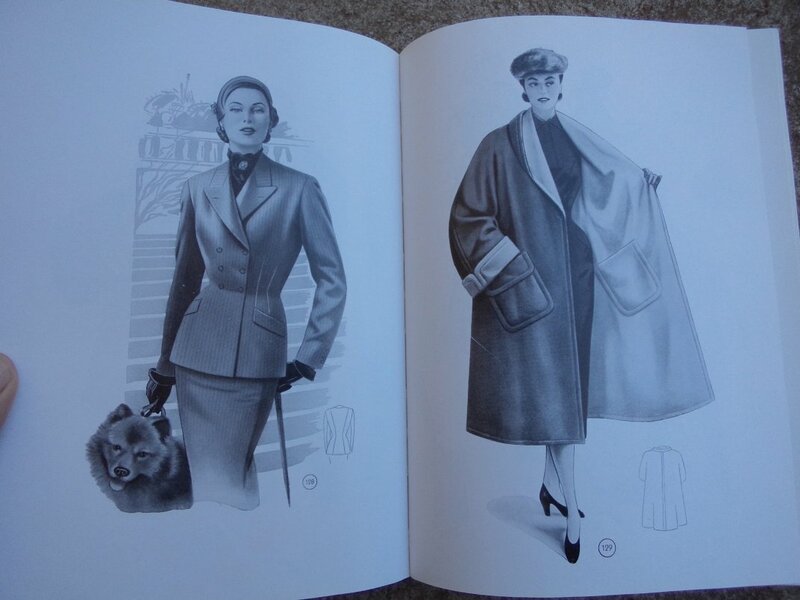 The illustrations are in colour with just a few in black and white. 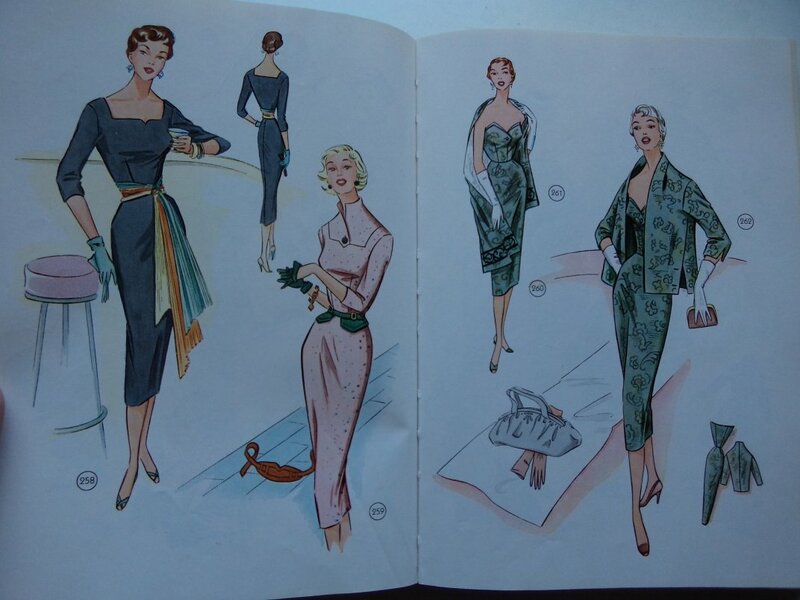 The 1950’s catalogue has page after page of outfits with wasp-waists and hourglass figures. Lutterloh even offer beauty advice. Oh Liz! If only you’d had this back in 1997. That wedding dress is gorgeous. 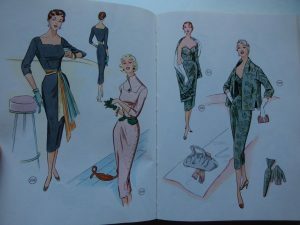 I can imagine you having hours of fun imagining up all these garments. 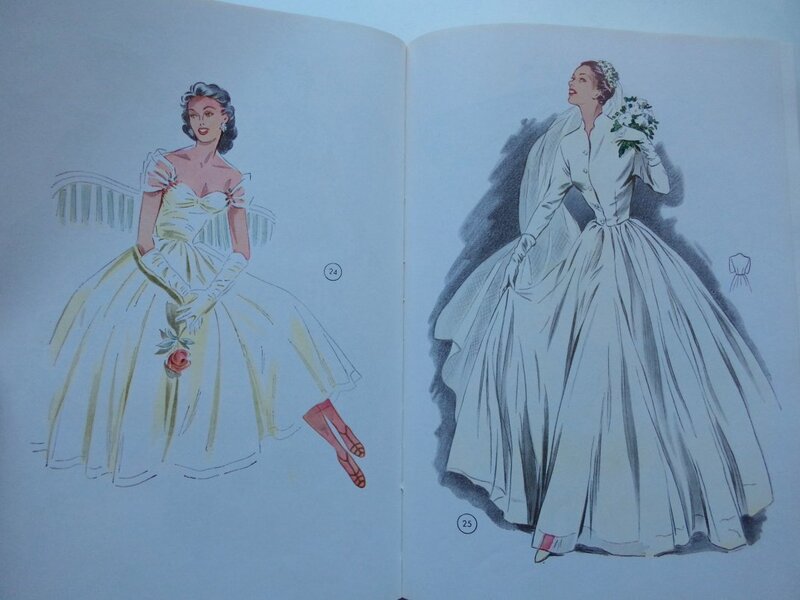 Yes, all the dresses are beautiful, aren’t they? 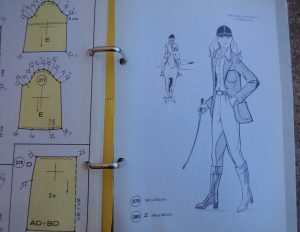 I’m not sold on this drafting system, but I am a bit of a sucker for fashion illustrations! One dollar! I thought I was pretty lucky when I found my 1970s Lutterloh for $2, but that’s even more amazing! 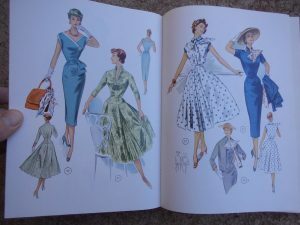 The 1950s one is just gorgeous (and it has its ruler, too – amazing) – I dream of finding a 1950s Lutterloh. 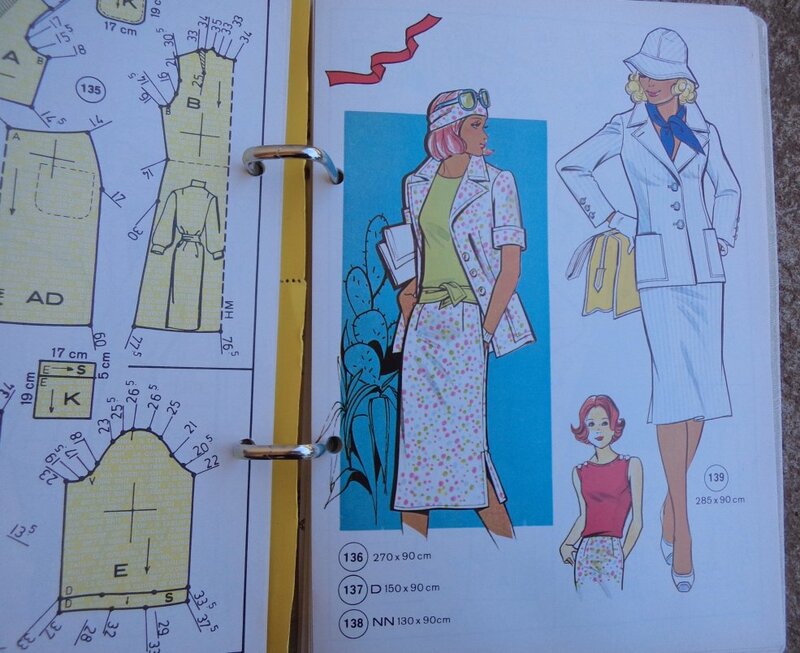 In the meantime, I love my 1970s one to bits and I need to make something from it soon. Are you thinking of having a go at yours soon? 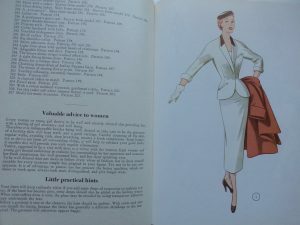 Our op shop is probably the best one I’ve ever been to – cheap, lots of stuff and fast turnover of stock – but as with all op shopping you need patience and regular visits. 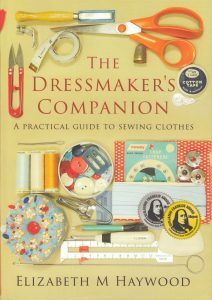 Occasionally you see someone’s had a big clear out at home (or it’s an estate) of books and magazines, old fabric, a lifetime’s worth of Tupperware, amazing Lutterloh books etc. Also a lot of fashion mistakes end up there! 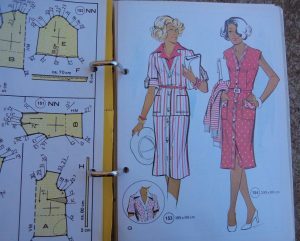 I’ve no immediate plans to make anything (I’m trained to make patterns from a sketch, so I don’t actually need the drafts) however the illustrations are just fabulous, aren’t they? 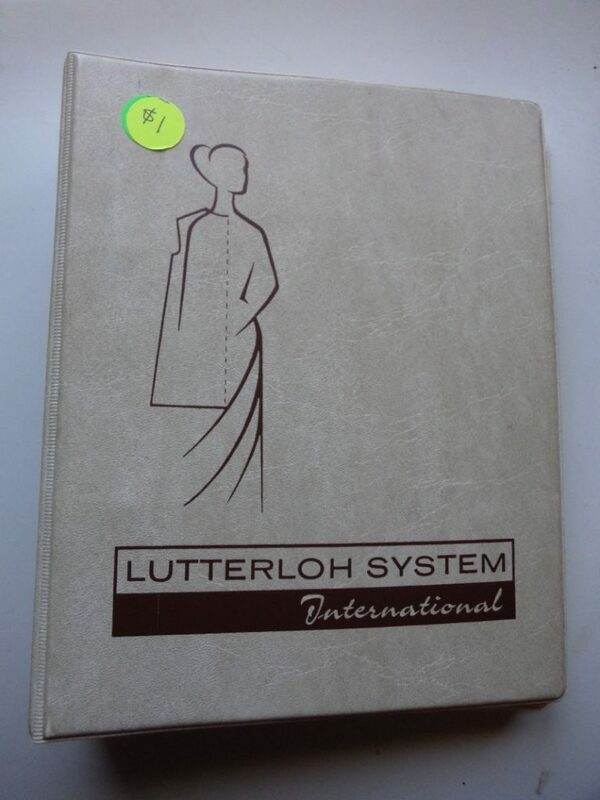 Hi Natalie, I’ve just looked through the Lutterloh book but there isn’t one there, sorry. 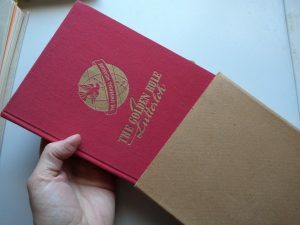 The book is from 1976. 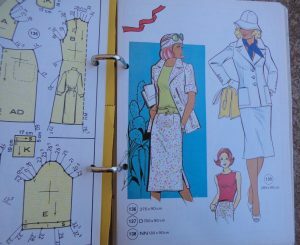 There were a few bias swirl skirts in the 1970’s: Simplicity 6261, 6360, 6312, Butterick 3555, 3557 or re-issued as B4234, McCalls 6956, 3926, Vogue 8779. Etsy or Ebay might have something? Cheers! 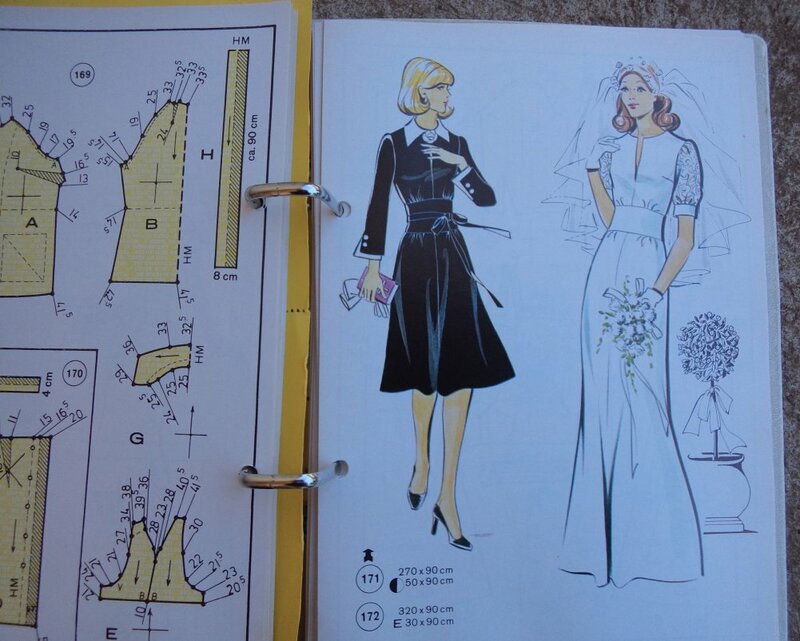 Oh Liz, yes I love the old fashion drawings so much. I only cannot imagine this system can guarantee you a tailor made piece. 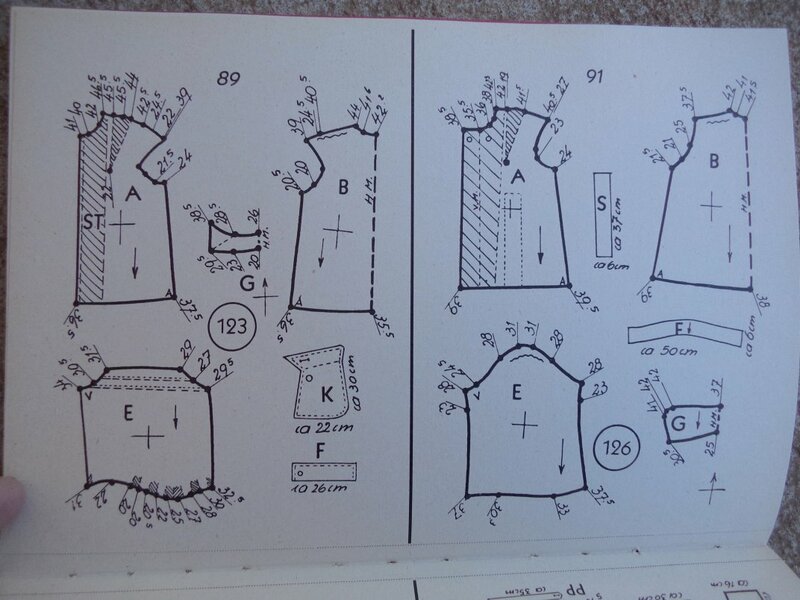 The pattern can be a start to later perfection.. 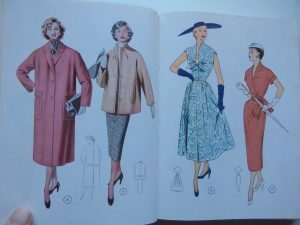 I am looking a long time for these older books ( ’50ies, ’60ies) however, not available on internet sites in Holland. I will suggest they publish these oldies again! 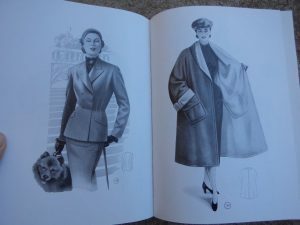 The old illustrations are lovely, aren’t they? It surprises me that they aren’t more prevalent in Holland since it’s far closer to Germany than Australia is. Cheers, thanks for the comment.